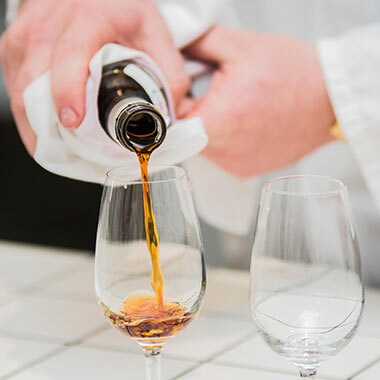 We join Selector publisher and wine educator, Paul Diamond for a behind the scenes look at the recent 2017 KPMG Royal Sydney Wine Show and speak with some of the winning winemakers. In late July the Royal Agricultural Society released the results from the 2017 KPMG Sydney Royal Wine Show. Among the judges this year was Selector Magazine publisher and wine educator, Paul Diamond, who lent a hand assessing the wines as an associate judge. “My role was to assess brackets of wines as part of the overall classes that they were entered into. To establish which wines were worthy of medals and establish a hierarchy of the quality presented," Paul explains. The standard of Chardonnay at the show was evident with the Best Small Producer wine going to Clonal Brothers, Flametree Wines taking out the Trophy for the Best Wine Judged by the International Guest Judge, and Tyrrell’s Vineyards winning the Trophy for Best NSW Wine for their 2012 Vat 47 Chardonnay. Tyrrell’s had an excellent Sydney Royal Wine Show, with their Stevens Vineyard Hunter Valley Semillon 2011 taking out Trophies for Best Semillon and Best Mature White. That takes the total tally of awards won by that wine to 15 Gold medals and two Trophies. 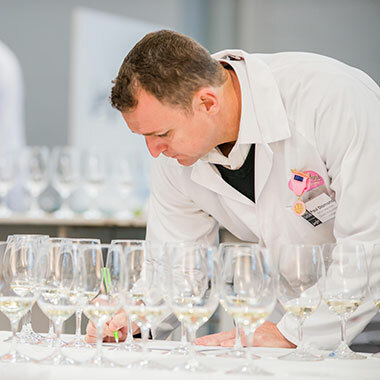 Many of the judges noted that Australian Sauvignon Blanc is moving away from trying to replicate the herbaceous NZ style, with the best wines at the show focusing on citrus fruits with finesse and drive. Miles From Nowhere continued their stellar performance with their 2017 Sauvignon Blanc from Cowaramup securing two Trophies and a Gold. As the country’s most widely planted variety, it was clear that despite vastly differing climates, Australian winemakers continue to adapt and create a variety of examples of Shiraz and Syrah that express their unique terroir. A swag of Gold medals were awarded to wines from across a broad range of regions throughout the country. One such example is the Gold medal-winning Berrigan Syrah 2015 from South Australia’s Limestone Coast sub regions of Mount Benson and Robe. For winemaker Dan Berrigan, this was great news. All in all it was great to see so many wines and winemakers that we know and love here at Wine Selectors achieve the recognition they deserve with Gold Medals awarded to Miles From Nowhere, De Bortoli, Tyrrells, Evans & Tate, Tulloch, d’Arenberg, Best’s, Andrew Thomas, Devil’s Corner, Bleasdale, Berrigan Wines and many more. We’ve put together an exclusive collection of Gold meda-winners from the 2017 KPMG Sydney Royal Wine Show available in either a red, white or mixed dozen. All of these wines were awarded a minimum of 95 points out of 100, with including the Trophy-winning Tyrrell’s Stevens Vineyard Semillon 2011. And, every dozen comes with bonus tasting notes including suggested food matches! To find out more about the collection click here. To see the full results and all of the medal and Trophy winners visit the NSW RAS website. To celebrate the Frankland Estate Riesling 2015 being our October Wine of the Month, we caught up with winemaker Hunter Smith to talk isolation, organics and a special Guinea fowl. What was it like growing up in Frankland River – WA’s most isolated wine region? Looking back, amazing! The concept of isolation was not there, we had total freedom after school (a thriving 60-student primary school) to go horse riding, rabbit trapping and yabbie catching, help out on the farm, kayak down the Frankland River, camp, fish and explore on the spectacular south coast and have big farm picnics where friends would join us at the farm and the folks would drink magnums of red well into the evening around a big fire. Your parents weren’t always in the grape-growing game – how did that come about? Farming and the land are a big part of both my father’s and mother’s family histories in Australia. My father Barrie grew up on a vineyard in South Australia’s Riverland and his family moved to a farm in the Frankland River region back in the 50s, so I guess it was always in his blood. Fast forward a little and Judi and Barrie met in Perth and purchased a farm in Frankland River down the road a bit from my grandparents and started farming sheep and wheat. Dad was always making a barrel of wine a year and in the early 1980s, Judi and he went on a trip through France with Bill Hardy and let’s just say they got the bug to plant some vines. The first vines were planted in 1988 and, over time, sheep numbers have gone from 15,000 to pretty much just a handful now as the wine business has become our main focus. Did you always imagine you’d end up working in the wine industry? Standing in 5ºC pruning vines in the middle of a Frankland River winter would make any teenager look for greener pastures. I was adamant I would do anything but winemaking and grape growing. I spent 10 years after school in university and travelling and this made me realise how much I loved the industry and the region in which we farm our vines. A vintage with Eric and Bertold Salomon in Kremstal, Austria was probably the point in time when it all changed for me. Given how pristine the Frankland River region is, and the fact that it’s virtually pollution free, is there a commitment among local growers to organic viticulture? I think generally, viticulturists are looking to be as sustainable as possible and this region is very much that way inclined, we have a very complementary climate to help with this. While we remain the only certified organic vineyard and winery in the Frankland River region, there is a big move in this direction. One of the more unique members of your team is Gladys – what contribution does she make to the vineyard? As a family, we don’t believe in hierarchy in the workplace, but Gladys is the matriarch of our amazing Guinea fowl flock. Every year, Barrie incubates eggs found by the vineyard workers and a breeding program sees a few hundred new birds added to the team. Under Gladys command, they help control pests such as weevils. It’s all the one percenters that help make a successful organic farming system. What difference do you think your organic approach made to the 2015 Riesling? I could bang on about organics for hours, but what I will say is, we have seen vine health improve remarkably through the attention to detail in every aspect of nutrition, soil biology and climatic conditions. As a result, we are seeing very exciting developments to fruit balance and we are finding natural acidity is retained nicely. We have also been able to increase ripening a fraction, giving this wine delicious generosity of flavour, while maintaining that delicate and a nervous framework of acidity that make Frankland Estate Rieslings a stand out. In our 2017 calendar, your Riesling is matched with steamed snapper with Asian flavours – what’s your favourite meal to enjoy with it? That sounds pretty good! Being just an hour’s drive to the Southern Ocean, I love sitting on the beach catching fresh whiting and the humble herring, these cooked over an open fire with a Riesling (with a couple of years’ age) is spectacular. What’s your favourite wine memory? Gosh, too many great wine moments to pin it down to one, but a very memorable night was 10 years ago when our great late friend and wine importer to the USA John Larchet, with his great friend Ray Harris and a group of fellow Australian winemakers, spent an unbelievable evening enjoying some of Ray’s finest bottles in his New York apartment overlooking the NYC skyline. I remember thinking I would never see some of these wines again and I couldn’t help but think how amazing it was to be sitting on the other side of the world in a city so far removed from our Isolation Ridge vineyard in Frankland River, a special memory! What’s your favourite… Way to spend time off? With the family on the farm or at the beach. Holiday destination? Bremer Bay (south coast WA) whales, fishing, spectacular white beaches and probably even more remote than Frankland River! It’s a must see for anyone that’s never been. Wine and food match? I don’t get too caught up with that, if there’s food and wine, I’ll be there! Sporting team? Wallabies (sometimes!) Book? Something with a bit of Australian history – I always enjoy reading, nothing too dry! I’m reading Peter FitzSimons’ Eureka right now, which is a good read.